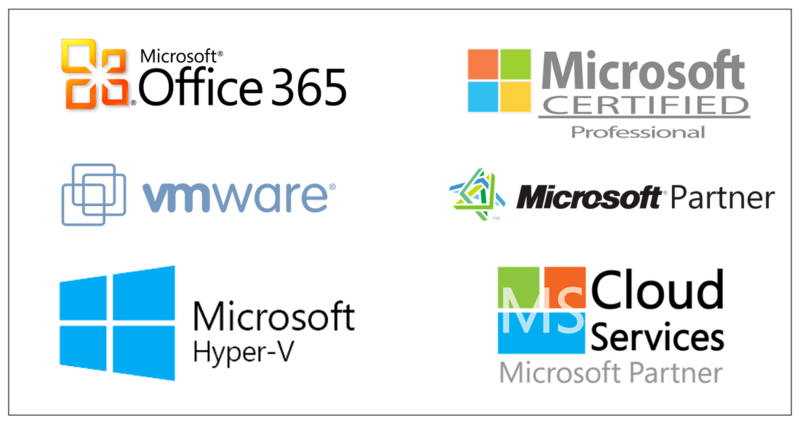 Reliable IT Solutions is a Microsoft Cloud Solutions Provider which means we not only get your company on the Cloud we manage everything for you. Experienced in engineering and designing ground-up networks, multi-site environments, and expansion designs for multi-building sites. We can network it all to not only run efficiently but also be reliable. Certified and experienced in Microsoft Virtualization and Administration as well as VMware. We can virtualize your physical onsite servers as well as maintain them. ​We provide a range of backup and recovery solutions that best fit your companies needs, including onsite/off-site cloud solutions. Reliable IT Solutions provides 24/7 network monitoring, remote access solutions, and IT/Network consulting. What are Managed Services? We can set you up on Microsoft Office 365 and have your network on the cloud in no time. Aside from just cloud hosted email and data, Reliable IT Solutions can likely get your server based software hosted in the cloud as well. We provide a number of solutions that best fit your needs. Whether you are a small or large business, we have a variety of backup solutions to choose from.